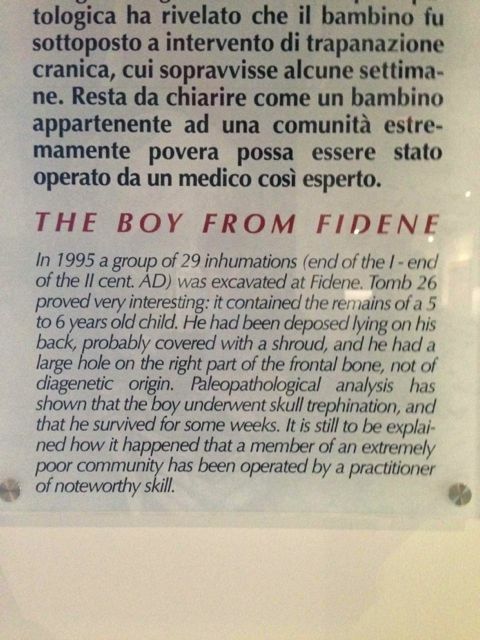 The skeleton of the so-called Bambino di Fidene (Child of Fidene) can be seen on the first floor of the Museo di Storia della Medicina in Rome (Viale dell'Università, 47/a). It was found in 1995, in the site of the ancient city of Fidene, near Rome, in a small cemetery of the beginning of the second century AD. 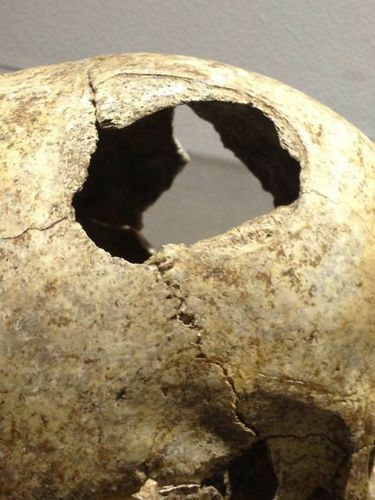 The skull of this child, 5-6 years old, had a form of hydrocephalus and, for that reason, underwent skull trephination. 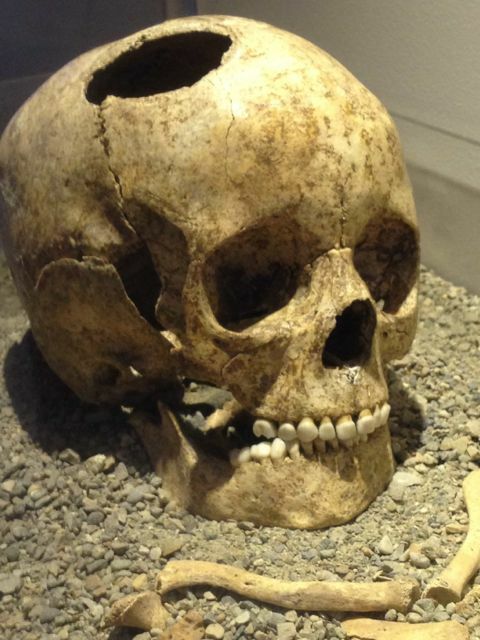 The child of Fidene provides us with one of the oldest evidence of a specific surgical treatment aimed at alleviating the symptoms of an intra-cranial lesion expansion. 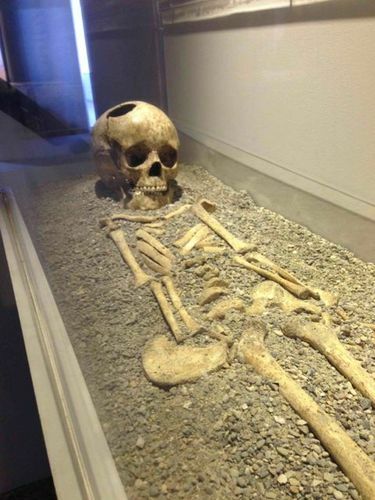 The special technical skills required to operate on thin child skull are clear from the writings of Galen. Its importance is further enhanced by the close proximity of Fidene to the capital of the Roman Empire, and by the dating from the second century, perhaps the most important period of the Greek-Roman medicine. 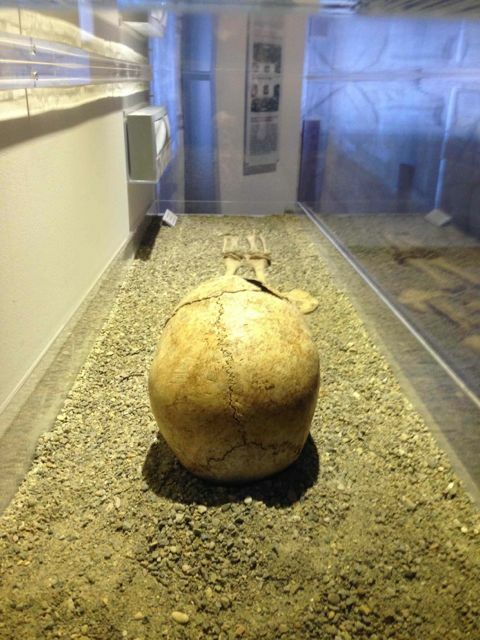 The trephination of the skull was described for the first time by Hippocrates (460-355 BC). The cranium is largely expanded in relation to the rest of the body. 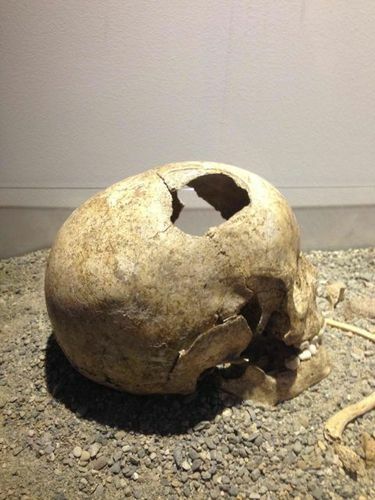 Particular of the ellipsoid drilling of 5,4 x 4,8 cm obtained with the progressive abrasion technique. The hydrocephalus was more pronounced on the right side of the skull, which appears clearly asymmetric. 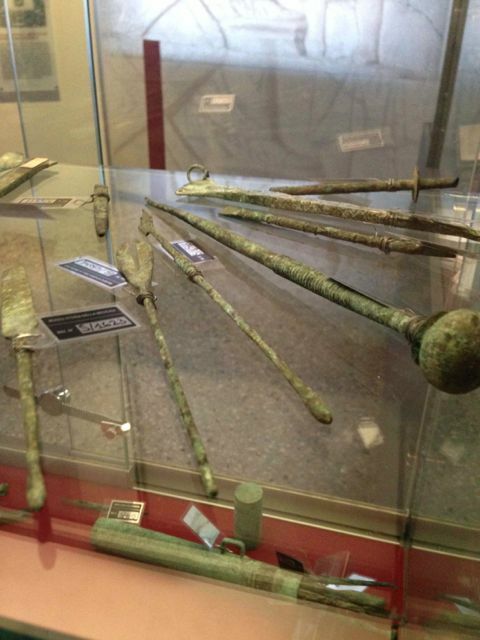 Some ancient instruments of surgery exposed in the museum in front of the Child of Fidene. 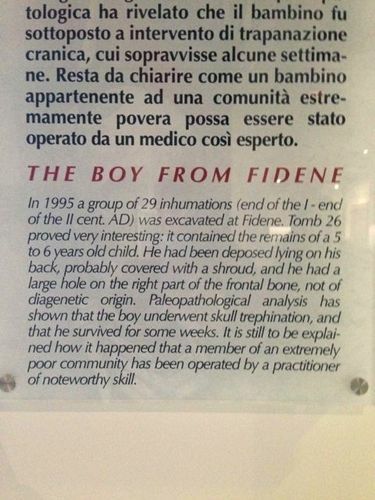 The difficulty of the surgery makes it plausible that the child has been operated by an experienced surgeon in the nearby Rome. 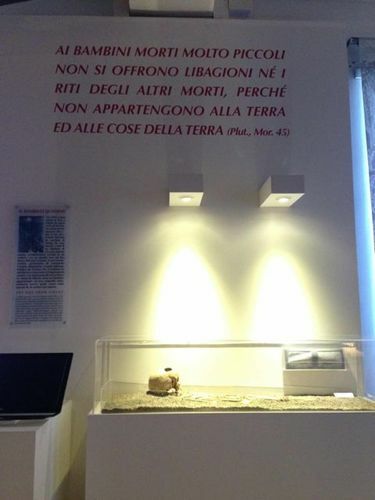 "To the children died very young do not offer nor libations, nor the rituals of the other deads, because they do not belong to the earth, nor to the things of the earth" -Plutarch.